Who doesn’t know the Queen of K-pop, SNSD? SNSD (So Nyuh Shi Dae) or Girls’ Generation debuted in September 2014 under S.M. Entertainment. With a nine member formation, SNSD succeed in winning huge popularity, not only in South Korea but all over Asia and beyond. The members, Taeyeon, Tiffany, Yuri, Yoona, Sunny, Hyoyeon, Yuri, Jessica, and Seohyun, gained much attention especially from their hit song “Gee” in 2009. They even succeed at becoming the girl group that lasted the longest among other girl groups. SNSD’s popularity boomed, and they were titled “The Nation’s Girl Group” and “The Nation’s Singers”. But, after years of being together, SNSD fans (SONE) were shocked by the news of some members leaving. Jessica Jung became the first member who departed from SNSD. Having started her career as a member of SNSD, she gained so much love from SONE. Leaving SNSD in September 2014, many people were still confused about the truth behind Jessica’s departure. The statement from SM. Entertainment hit many fans hard, as it was mentioned that it was Jessica herself that couldn’t keep herself up with SNSD’s schedule. But then Jessica also released her own statement explaining the situation. “I was given a notice of departure from Girls’ Generation by the agency on September 29, and I cannot hide my shocked and upset heart about this, so I’m here to reveal my position. I have always put Girls’ Generation’s activities before my business or personal life as a member of Girls’ Generation. However, despite my efforts for the team, I have been asked to leave the team by the agency.” Jessica also explained that she never thought of leaving SNSD, as the group was the best thing that ever happened in her life. Which statement do you think is true? After Jessica left SNSD, the other SNSD members continued with their activities with an 8 member formation. In August 2017, SNSD started promotion for their new album “Holiday Night”. This song is to celebrate their 10 years as a group. “Holiday Night” became the first album without Jessica’s participation. After the success of “Holiday Night”, fans started to worry, not because of the failure of the album, but because SNSD members’ contracts with SM Entertainment had almost ended. Some rumors about members not renewing their contracts started to spread. 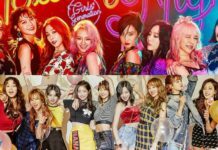 After celebrating their 10th anniversary, SM Entertainment started their negotiation with SNSD members regarding their contract renewals. Being anxious, fans finally got the bad and shocking news from SM. On October 9, 2017, SM Entertainment revealed that 3 members will not renew their contracts, and had decided to leave the group. 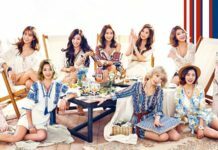 The three members included Sooyoung, Tiffany, and Seohyun, while the other members, Taeyeon, Yoona, Hyoyeon, Sunny, and Yuri decided to renew their contracts. Having been a part of SNSD for years, Sooyoung finally decided to leave the group. It was released by SM Entertainment that Sooyoung planned to focus on her acting career under different agency. But as for now, Sooyoung hasn’t started acting yet. Recently, she created a clothing brand “Beaming Effect”. Just like Sooyung, ex. SNSD member Seohyun also revealed that she wanted to focus on her acting career after leaving the group. 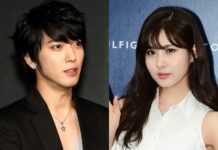 Seohyun herself, outside of her activities as a member of SNSD, had starred in several dramas and musicals, including the drama “Moon Lovers: The Scarlet Heart Ryeo” back in 2016. Does Got7’s Youngjae Have a Tattoo?